Lufthansa has introduced a new Blue Legends app that allows passengers to virtually check-in to airports and use social networks. Passengers can share tips, information, earn badges and showcase their achievements through a number of social networks. Blue Legends gives users the opportunity to virtually check in to airports, lounges and Lufthansa flights through foursquare, though it does not take the place of actually checking in for a Lufthansa flight. 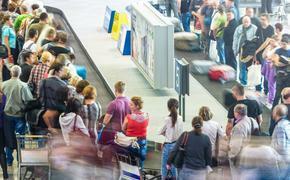 Passengers gain recognition for regularly checking in virtually to Lufthansa venues. For example, customer’s flying across the Atlantic Ocean can unlock the “Atlantic Badge” and users can become “Expert Pilots” on the routes they fly most frequently. Early risers who check in before 6 a.m. are awarded the “Early Bird” badge. Anyone who racks up more than 241,092 miles with Lufthansa will receive the “To the Moon” badge. Badge by badge, regular travelers who check in most frequently to Lufthansa venues can become true “legends of the skies” with Blue Legends. Blue Legends is built around the location-based social network Foursquare and is available now in a beta version in the foursquare gallery or at www.lufthansa.com/blue-legends. Foursquare is used on mobile devices where users can broadcast their current location via social networks by “checking in.” A user who checks in frequently with foursquare becomes a “Mayor.” The user’s position is determined either via radio location or GPS so the app can show nearby locations to check into (such as a Lufthansa lounge, a Lufthansa flight by number, public buildings, places of interest or restaurants).